Sunflower Hotel has another name in Vietnamese - Huong Duong. 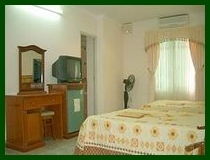 The hotel is very popular with budget and independent travellers. 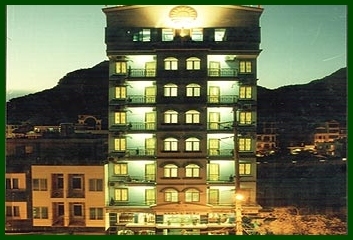 Located in the main street of Cat Ba Island, Sunflower Hotel offers 60 rooms in a 7 storey building. The staff is very friendly and helpful. Overlooking the sea and Fishing port, Sunflower Hotel is situated in the center of Cat Ba Island, just a few minutes walk to Cat Co Beach and Lan Ha Bay, within a 5 minute walk to Cat Ba Dock and 15 minutes to Ben Beo dock. The hotel offers international standard rooms with full amenities. 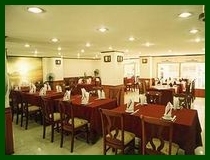 The lobby is well decorated and the restaurant is large and serves both Vietnamese and European food. Standard room: rooms 16-25 m2 feature double and twin bed rooms. There are 22 rooms with private bathroom with shower and 38 rooms with bathtub. All the rooms have a big window or balcony facing either the sea, hill or the town. Triple occupancy is available. Family room with balcony and see view is 2 rooms separated by a door. The rooms come equipped with air-conditioner, fan, IDD telephone, satellite television, minibar, hair dryer, table lamp.